It’s hard to imagine that this photograph was taken 167 years ago. 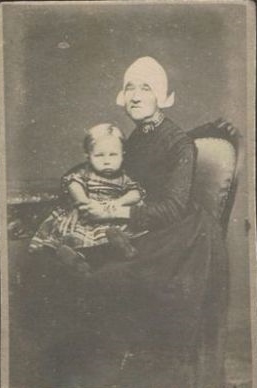 This is my father’s great great grandmother, Neeltje Rooden, with his great grandfathter, Dirk Van Den Berg on her lap. Neeltje was born in 1805 in Hensbroek in the Netherlands. Many generations later my father Jan (John) de Vry was born in the village of Bergen, just a few miles away from Hensbroek.